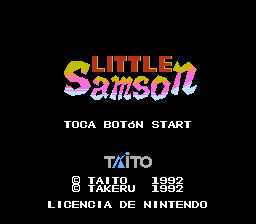 Little Samson is a sidescroller very reminiscent of the NES Mega Man games. 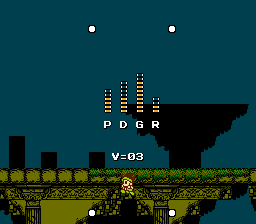 It features 4 playable characters: Little Samson, Kikira the Dragon, Gamm the Golem, and K.O. 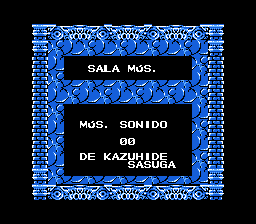 the Mouse. They each have different game mechanics and abilities. 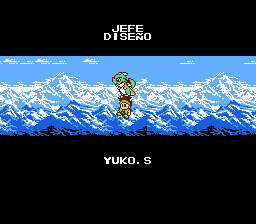 Although the game went largely unnoticed in its time, it is now popularly known as one of the most underrated NES games out there, due to its stunning graphics and fun gameplay. 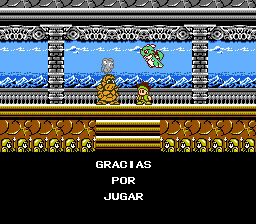 Translation to Spanish for “Little Samson” for the NES.